Yesterday, Nomad Tanzania honored the life of Brian Darnley Nicholson, a true legend of East Africa. Nicholson, renowned warden of the Selous Game Reserve unitl 1973, expanded the reserve and is largely responsible for its current state. Nicholson's daughter, Sandy, travelled to Kiba Point this week with her two sons to scatter his ashes in the reserve he loved. ﻿ An uncontested member of the Great White Hunter club, Nicholson began his career as a game officer at the age of 19. He was famed for long walking safaris deep into the Selous, often following its river systems miles into the wilderness. In fact, in 1979, it was Nicholson who instilled the passion for walking safaris in a young Richard Bonham, one of the founders of Sand Rivers Selous and Nomad Tanzania. That expedition was immortalized by Peter Matthiessen in his book, Sand Rivers, which gave Richard's lodge its name. 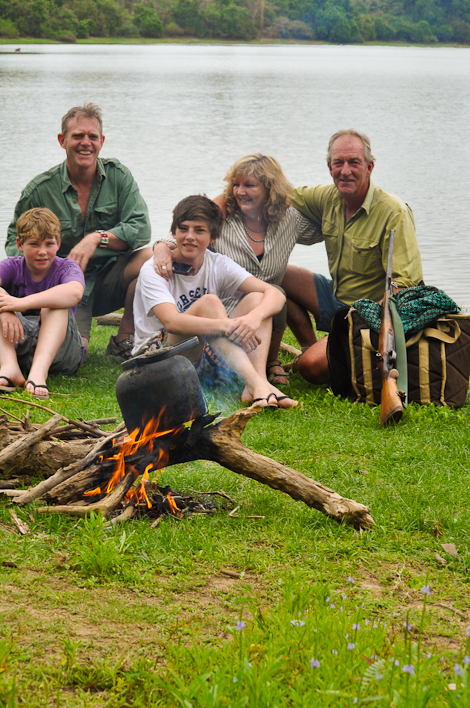 It is in the spirit of that expedition that Nomad continues to do multiday walking safaris. It was a bitter-sweet moment for Sandy, who fondly recalled accompanying her father on many of his long safaris. 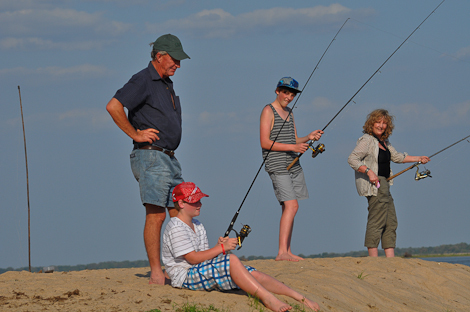 It was with real pleasure that she was able to introduce her sons to the Selous. 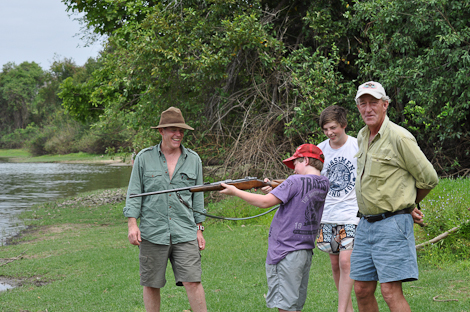 Richard Bonham, who accompanied the family, took some time to show the boys what it was like in their grandfather's time. We may no longer catch 50Kg fish in Stiegler's Gorge the way Nicholson used to, but Adrian still managed to pull out a nice size tiger fish. 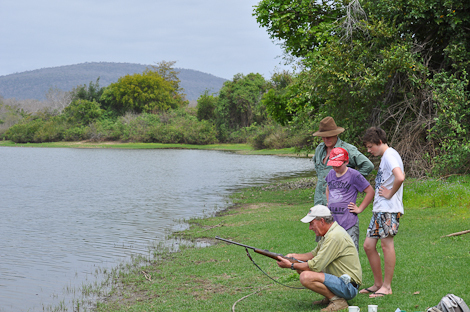 Richard also taught the boys how to use a rifle, something Nicholson was a master at as he hunted down problem animals to protect villages near the reserve. I'm not sure they're ready to face down a tusker like their grandfather used to, but it's a start. Nicholson will be sorely missed and we at Nomad Tanzania are honored to continue experiencing the Selous that he built.